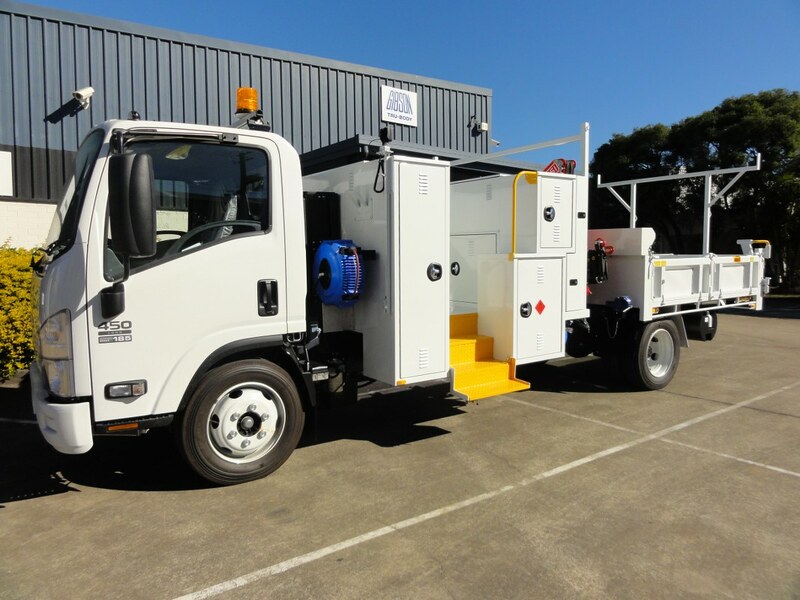 Moreton Bay Regional Council recently took delivery of this service unit to add to their ever increasing fleet. The vehicle has a “walk up” cabinet section at the front, with numerous cabinets and storage areas. A centrally mounted crane takes care of all the heavy lifting, and the rear tipping body completes the unit as a fully functional and versatile set up. M.B.R.C. are another of Gibson Tru-Bodies Valued Customers.